At first, you might not think you can spruce up your yard during the late summer. So, if you’re a Fullerton homeowner, here are some gardening tips to try out before the summer comes to an end. At first, you might not think you can spruce up your yard during the late summer. But this is a misconception. You can improve your garden whenever it is reasonably warm. So, if you’re a Fullerton homeowner, here are some gardening tips to try out before the summer comes to an end. 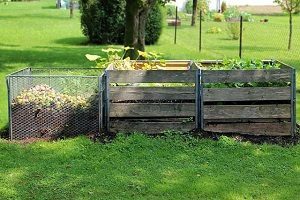 By the time late summer comes around, your garden should have produced a sizeable amount of waste. But that doesn’t have to be a problem. In fact, all of that gardening waste can be turned into compost to keep your landscape thriving. Take some leaves that have started to fall off the trees and shred them with your lawnmower. Once you have enough compost collected, you can use it to boost your soil in the future. Even though you’ve got plenty of compost, you might need more raw materials. Luckily, Fullerton homeowners can take advantage of soil delivery from Lehnhoff Supply. If it turns out that you need mulch instead, that’s not a problem. Fullerton residents can also order whatever quantities of mulch they need from Lehnhoff Supply. Buying larger amounts of soil and mulch can be more cost-effective in the long run than relying on smaller bags that you can pick up from your local gardening center. Next, you will want to separate your plants. Prepare your garden and landscape for the cooler weather of fall before it’s too late as August gives way to September. Your perennial plants will come back next year, but for right now, they’re about to settle down for a seasonal nap. Fill in any gaps in your home’s garden with some different perennials, and give away some of your longest-lived plants to friends and neighbors so they can try their hand at gardening before it gets too cold in Fullerton. Maintaining your garden and your landscape won’t be easy without water. If you don’t want to drive your water bills up, there’s an easy solution. Gather some rainwater – late summer sees plenty of stormy weather in Maryland, so use buckets and barrels to collect all of that free water before you redistribute it. Trust Lehnhoff’s Supply and Design for All Your Landscape Needs! This entry was posted on Friday, August 10th, 2018 at 9:43 am. Both comments and pings are currently closed.